Bhopal, popularly known as the 'City of Lakes', was struck with a major industrial tragedy in the year 1984. 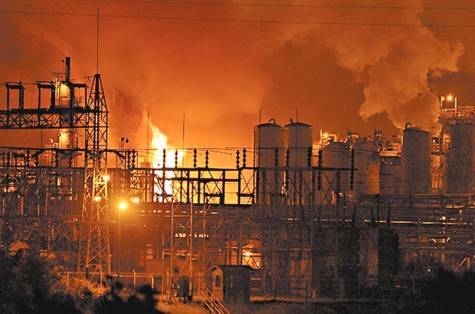 It had affected more than 5 Lakh people and is considered as world's worst industrial tragedy in 2010. The sad part is that it was noted as the worst industrial tragedy 16 years later since its inception. Likewise, there are many facts associated with the disaster. How does the disaster happen? In 1984, on the night of 2nd December and morning of 3rd December, a highly toxic gas, MIC (short for Methyl Isocyanate) gas was leaked from Union Carbide India Limited (UCIL) pesticide plant. The gas posed a health hazard and was used under high security. However, due to an unexpected chemical reaction taking place by the combination of water in the gaseous chamber, over 500000 people were exposed to it. 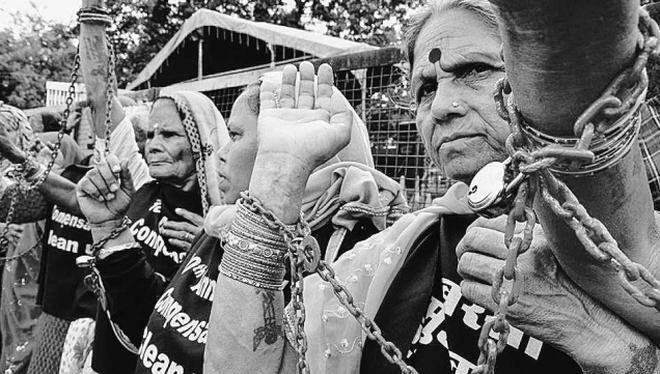 What are Bhopal Gas Tragedy death stats? The stats of death in Bhopal Gas Tragedy varies. According to an affidavit submitted by the government of Madhya Pradesh, 3,787 deaths and 5,58,125 injuries happened. There were 38,478 temporary partial injuries and approximately 3,900 severely and permanently disabling injuries, in the Bhopal Gas Tragedy. 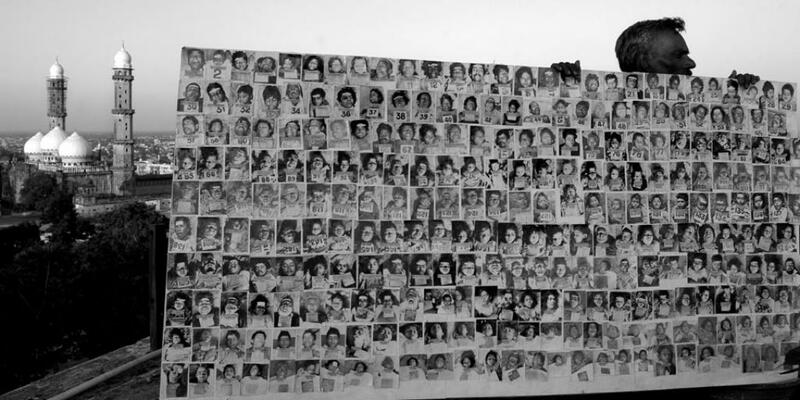 Other data states that 8,000 died within 2 weeks from the date of the Bhopal Gas Tragedy. After that 8,000 more died, since the tragedy, due to gas-related diseases. The cause of the disaster is still under the debate in the court. What all effects did the release of toxic gas have on people? More than 40 tons of MIC gas was released. The soil in the surrounding region got contaminated due to the poisonous gas and affected the crops there. Consumption of such contaminated crops further led to the spread of diseases and mutations. There was premature death of many people with immediate effect. Even all buffaloes, cows, dogs and birds in the exposed area died. Coming to the diseases, you will not believe that there have been long-term health consequences of exposure in the people. The early effects include ocular, respiratory, gastrointestinal, genetic, psychological, and neurobehavioral malfunctions. And if you see the long-term effects on the people, reproductive and genetic disorders can be seen. What is the Bhopal Gas Tragedy debate? The Union Carbide company urges that it was an act of sabotage that took place in its pesticide plant. Deliberately, water was made to enter into the tank of Methyl Isocyanate (MIC) so that a hazard arises and the company is defamed. However, the government authorities and local activists blame the slacky management and non-regular maintenance of the pipe for the disaster. According to them, what caused the incident was the backflow of water into MIC tank due to a blockage in the pipeline. This entry of water led to the generation of volumes of gases, which exerted tremendous pressure on the tank. As a result, it caused the release of tonnes of poisonous gas. All people in the surrounding area were exposed to the gas and affected by it. There is still a debate going on as to whose mistake it was. Was it the company's neglect or was it done deliberately for defamation? Each one affected in the tragedy has their own views. 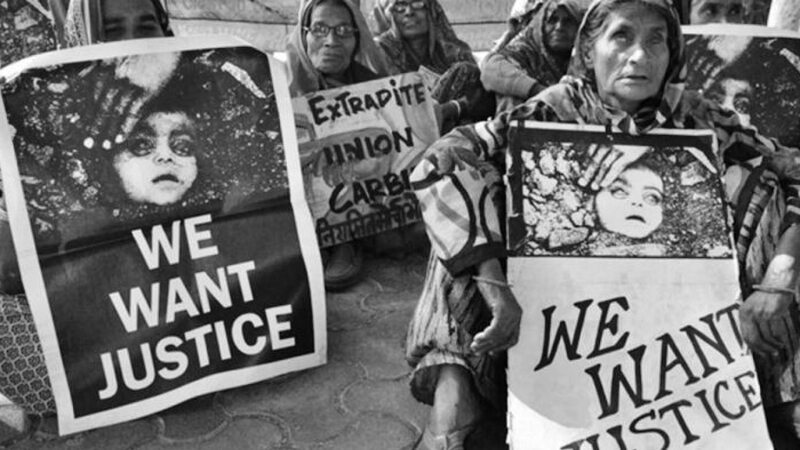 What is the court verdict for Bhopal Gas Tragedy? On 7 June 2010, UCC (the accused company) CEO of 1984, along with 7 employees of the company were convicted for the crime. They were given a punishment of 2 years imprisonment and were ordered to give compensations to people. They also had to pay a fine of 5 lakh rupees. They were charged under Section 304-A, 336, 337, 338, and R/W Section 35 of IPC 1860. They completed their punishment but the compensations are also given out. Yet, people are not satisfied with it. To conclude, we must tell you that the gas was released only for 8 hours and it has affected the people in the surrounding Bhopal city for a lifetime. Not just lifetime, their future generations have also been affected by genetic disorders. You can see these even today. Hence, the widespread resentment under people is not going to die anytime sooner. It has been 34 years since Bhopal Gas Tragedy took place and the worst disaster in the history of the world hasn't left the affected people yet. Remember them in all your prayers! And made it stand 7th in the world! The hurricane season has come again. Besides providing the medication and treatment.